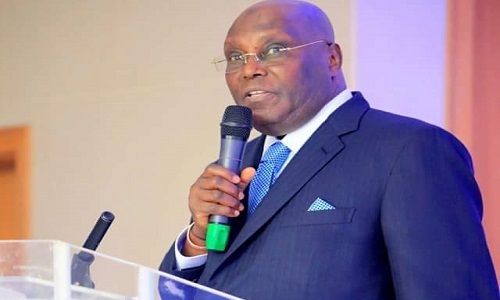 PDP presidential candidate, Atiku Abubakar, has alleged that the APC is engaging in vote-buying in a desperate bid for advantage in 2019. Atiku tweeted yesterday; "This is what the APC are doing. They are buying PVCs, they will come to you and give you N10, N20, N50 to buy your PVC - they are buying your future. Do you want to sell your future? Don’t sell your PVCs because they are going to use it against you. In terms of corruption, Nigeria is worse of today than we were in 2014. In terms of economy, we are the poorest country in the world today. In terms of insecurity, we are most insecure than at any other time in our history.